(1 Oct 2018) The Chico Mendes Institute for Biodiversity Conservation (ICMBio) and the Brazilian Navy jointly published two ordinances aimed at disciplining fishing in the APA of the Archipelago of Trindade and Martim Vaz and in the APA of the Archipelago of São Pedro and São Paulo . These conservation units were created in March 2018 along with two other protected areas: the Trindade Islands Natural Monument, Martim Vaz and Mount Columbia and the Natural Monument of the Archipelago of São Pedro and São Paulo. Together, these four protected areas correspond to almost ¼ of the Brazilian Jurisdictional Waters. APAs are units of conservation of sustainable use, this means that the natural resources protected there can be used directly as long as their sustainability is guaranteed. In the decrees that created the APA of the Archipelago of Trindade and Martim Vaz and the APA of the Archipelago of São Pedro and São Paulo it is foreseen that the ICMBio and the Navy of Brazil must establish the rules for the use of the fishing resource. Thus, on September 18, Joint Ordinance No. 2 and Joint Ordinance No. 3 were published for this purpose. The Ordinances establish that fishing in the two APAs may only be carried out by duly authorized vessels, according to the permission defined by Interministerial Instruction MPA / MMA No. 10, of June 10, 2011, only in the modalities of horizontal surface, hand line of surface and trough. In addition to proper authorization, the vessel, regardless of its size, must carry satellite tracking equipment installed in accordance with the National Fishing Vessel Tracking Program (PREPS). The PREPS allows managers to monitor the fishing activity in the APA. The ordinance also prohibits the retention, transport and commercialization of endangered species defined in the national list. In case of capture of these species, it is obligatory to return them to the sea, alive or dead. 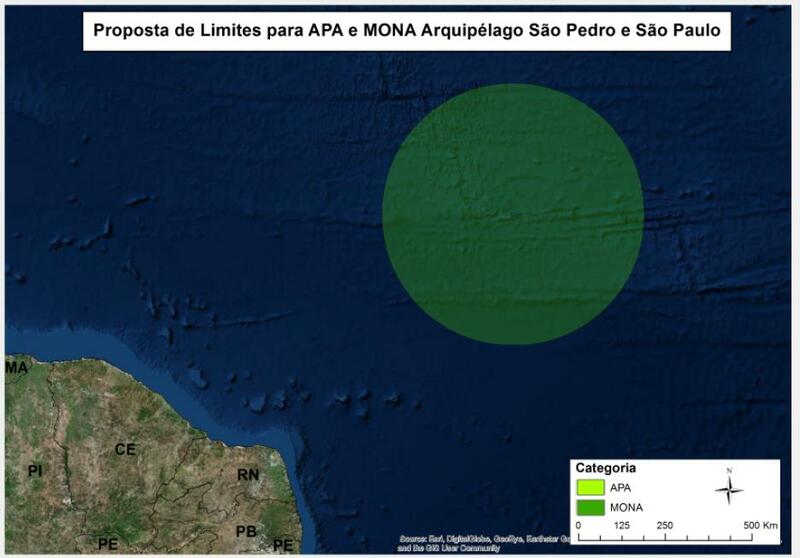 Apart from these criteria, in Administrative Rule 3, which governs fishing in the APA São Pedro and São Paulo, there are special provisions in the zone of overlapping the APA Fernando de Noronha. Among these provisions, it was established that in this area of ​​8,350 hectares, underwater fishing is only legalized as a collection and capture duly authorized by the Biodiversity Information and Authorization System (SISBIO). The Chief of the two APAs, Rossana Santana, emphasizes the importance of disciplining fishing activity in these large protected areas: "In addition to biodiversity conservation, these conservation units should be seen as tools of fisheries management, as they can contribute to the sustainability and continuity of the activity." Know the decrees published on Tuesday (20 Mar 2018) in the Official Gazette of the Union. Decree establishing the Environmental Protection Area of ​​the São Pedro and São Paulo Archipelago and the Natural Monument of the São Pedro and São Paulo Archipelago. Decree creating the Environmental Protection Area of ​​the Trindade and Martim Vaz Archipelago and the Natural Monument of the Trindade and Martim Vaz Islands and Mount Columbia. Brazil is on the verge of changing marine conservation history in the South Atlantic. After lagging behind other developing countries in Marine Protected Area coverage, with only 1.5% of its jurisdictional waters under some sort of protection, the Brazilian goverment has opened public comments on proposals to establish a mosaic of MPAs around the oceanic archipelagos of St. Peter & St. Paul Rocks and Trindade & Martim Vaz, covering approximately 900,000 square kilometers and making Brazil´s MPA coverage jump to some 21% of its EEZ. Both archipelagos are biodiversity hotspots and their surrounding waters harbor many endemic, vulnerable and endangered species, inclduing whales, sharks, sea turtles and many pelagic species severly depleted by industrial overfishing. Despite being far from shore, both areas have an enormous potential for SCUBA diving given the unique wildlife and underwater landscapes, and oceanic whale watching, and if protected might give rise to a whole new liveaboard industry, according to Divers for Sharks and the Brazilian Humpback Whale Institute, two of the Brazil-based NGOs spearheading the proposals. The President of Brazil, Michel Temer, is expected to make a decision in early March, after the public consultation period ends.